This post is brought to you by CIBC. All opinions are my own. The first time I remember attending the Nagar Kirtan and really understanding what was going on, I was probably about 8 (the same age as my daughter is now). I walked the entire parade route, and saw the Nagar Kirtan process up close. 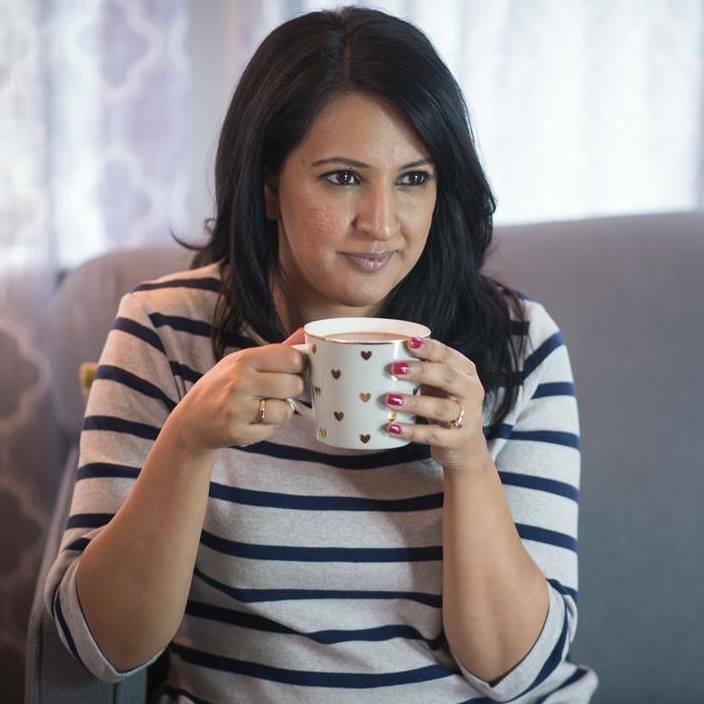 This experience prompted me to ask my parents lots of questions about Sikhi, and created a lifelong connection for me to my religion. As a parent myself, I try to take my kids to the Surrey Nagar Kirtan/Vaisakhi Parade almost every year. We’ve never walked the parade route with them yet, but it’s something I hope to do with them one day. Just like everyone else, I struggle to keep my kids connected to the Punjabi culture, and teach them about Sikhi. Attending a community observance like the Nagar Kirtan is great conversation starter. It always gets my kids asking questions about, culture, religion, and Vaisakhi. We are so blessed that right here in our city of Surrey there is such a large parade. Each year it seems to get just a little bigger, and the energy level of the sangat is phenomenal. This year CIBC has partnered with the Surrey Vaisakhi Parade as a sponsor. 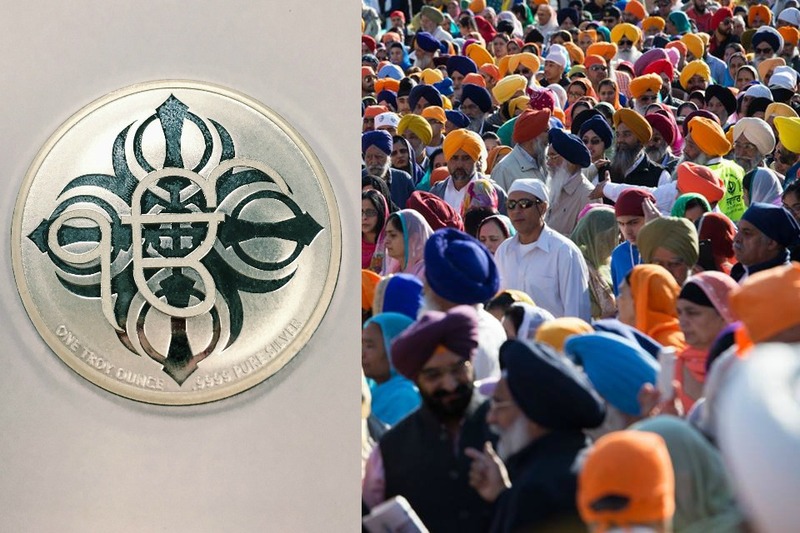 They will be setting up a tent which will include a special display of the commemorative Vaisakhi coin they’ve released this year. (Spoiler alert – there will be some special giveaways!) I love to see mainstream brands connecting with the community in an authentic way. 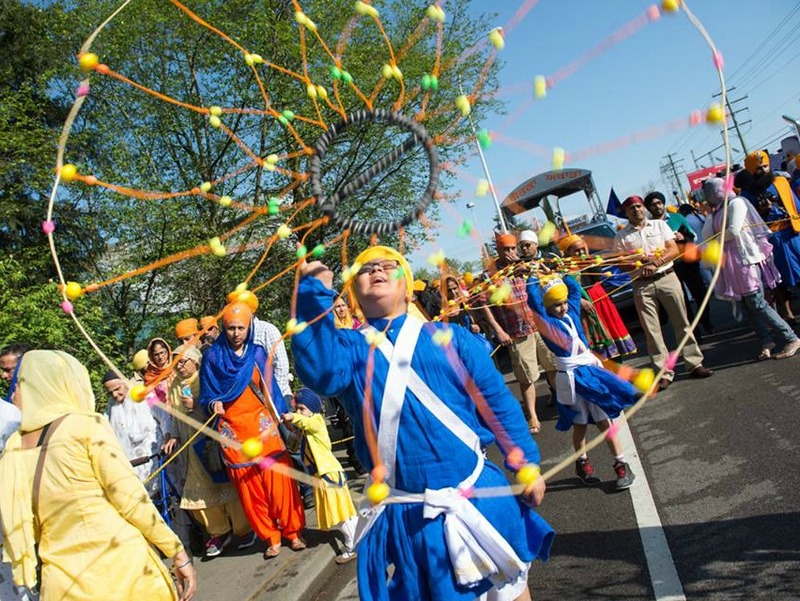 It’s almost the same reason I take my kids to see the Nagar Kirtan – you feel a connection to your community and your religion just by attending. 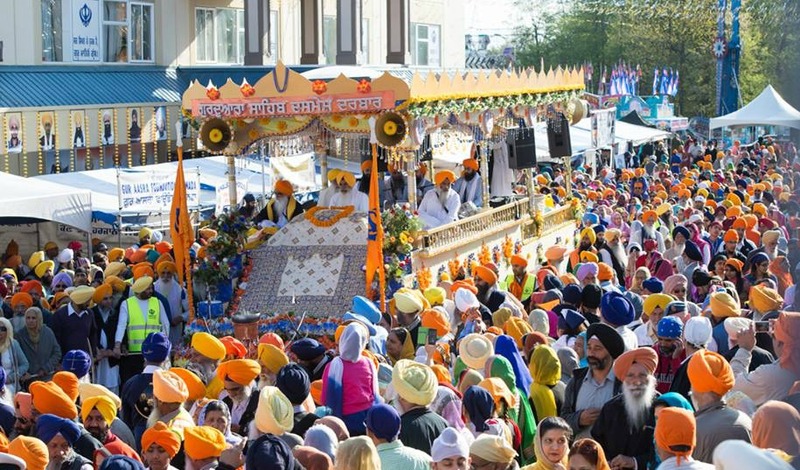 This year the parade is on April 23rd, and will begin at 9:30 from the Gurudwara Sahib Dashmesh Darbar. If you’ve never attended a Nagar Kirtan before, I highly recommend going a little early and being present when the Granth Sahib is first brought out to its palki (chariot). There is sense of energy and spirituality at this moment that can’t be replicated. Discuss the significance of the khanda with your kids. The khanda symbolizes our dual responsibility as Sikhs; to provide food and protection for the needy and oppressed. It is the visual representation of our slogan ‘Deg Teg Fateh’ – to victory, to charity, and arms. We just ordered these commemorative pure silver coins from CIBC which have the khanda on one side, and the Ek Onkar symbol on the other. I’m planning to give these to the kids as “good luck charms” of sorts. I’d like them to have a visual reminder of their responsibility to Sikhi. I think it will make a great memory for them to refer to years down the road too. I hope that you will head out to the Surrey Nagar Kirtan with your family this weekend and create memories, and learning moments for your kids. Be sure to stop by the CIBC tent at booth located at 128th and 78th street and check out their Vaisakhi coin display where there will be special giveaways. I will also be hanging out at the CIBC booth in the afternoon and would love for you to stop by and say hi. If you miss me, make sure to snap a pic and share it with me on Twitter or Instagram, I’d love to see you in your Vaisakhi best! Previous Post National Laundry Day – Yes It’s a Thing. Next Post Are Gender Roles Actually Changing in Desi Homes? The annual parade seems really great and I love that it’s accepting of all cultures!